Sign up for our school’s email newsletter. You will receive a confirmation email – click the link inside. 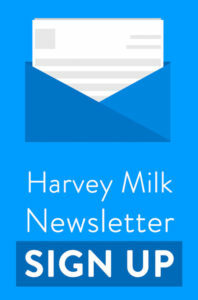 Email communications@harveymilk.com for any help. Read past newsletters here. Like our Harvey Milk Facebook page for frequent updates, reminders, and photos of the exciting things happening at our school. Follow our Instagram account harveymilkSF. Follow our Twitter account @HarveyMilkSF. Add the school calendar to your Google Calendar. Sign Up for the Before School Program and After School Program. Please sign up ASAP so that YMCA can staff appropriately for the fall semester! Fund crucial classroom supplies through our DonorsChoose.org page. Support the school through your everyday shopping at Amazon, Rainbow Grocery, Sports Basement, Mollie Stone’s, and other businesses! Learn about shopping for Harvey Milk. Learn about our community events and sign up to volunteer. Let us know about special skills or talents that might be helpful to the school by filling out this Google form. Apply online for free and reduced meals. Sign up for online meal payments at www.mypaymentsplus.com. You will need your student’s ID number without the “HO” prefix—which can be found in the assignment letter from SFUSD. 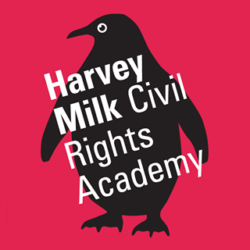 Be sure to check out the rest of our website, then email welcome@harveymilk.com with any questions. We look forward to meeting you!